. You can now have the tropical taste of mangoes at your finger tips for up to 25 years! Rehydrate for that familiar juicy taste, or eat raw for a crunchy mango treat! Lindon Farms packs Freeze Dried Mangoes into resealable Metalite pouches with an oxygen absorber to ensure optimum freshness, taste, and nutrition! 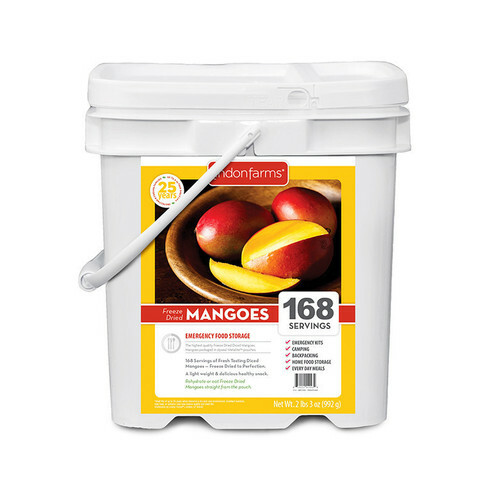 Prepare your family for anything with sweet mangoes and you'll surely be the family favorite!